You Are Here: Home > 2019 INFINITI QX80 vs 2019 Acura MDX | Which is Better? 2019 INFINITI QX80 vs 2019 Acura MDX | Which is Better? These days, there’s no shortage of consumers who want a sizeable crossover that has all the bells and whistles associated with premium driving: silky yet powerful engines, ultra-comfortable seats, cavernous space, and the latest and most sophisticated infotainment technology available. Among the better luxury crossover SUVs are the 2019 editions of the INFINITI QX80 and the Acura MDX, which, coincidentally, are both still fresh from facelifts they received two years earlier. Although either one is a great buy, here are three major reasons why the INFINITI crossover is a better choice than its Acura counterpart. Powering the 2019 INFINITI QX80 is a hefty, large 5.6-liter V8, which produces 400 horsepower and 413 lb-ft of torque. This is larger and more powerful than the 3.5-liter V6 that is on the 2019 Acura MDX. With an output of 290 horsepower and 267 lb-ft of torque, the Acura engine produces 110 less horsepower and 146 less lb-ft of torque than that of the QX80. The 2019 INFINITI QX80 is designed and classified as a full-size SUV while the 2019 Acura MDX is designed and classified as a smaller, mid-size SUV. Consequently, the INFINITI provides more interior space. Although both are three-row vehicles, it is the QX80 that provides 152.5 cubic feet of passenger space. It is also the vehicle that has 16.6 cubic feet of standard cargo space, with 49.6 cubic feet if the third row is folded down and a maximum of 95.1 cubic feet if both second- and third-row seats are folded. J.D. Power & Associates assigns a series of ratings to each new vehicle. One of them is for projected reliability, which is an estimation of a car’s longevity by evaluating reported issues (if any) during the first 90 days of ownership. The 2019 INFINITI QX80 has a rating of 4 ½ Power Circles on a scale of 1 to 5, thus making it one of the best vehicles in its class for projected reliability. By comparison, the 2019 Acura MDX has a 2 ½ Power Circle rating. 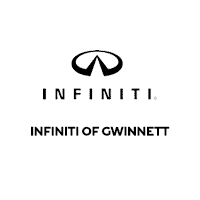 To check out the 2019 INFINITI QX80, rather than the 2019 Acura MDX, call us today at our dealership in Duluth, Georgia. One of our INFINITI specialists will be more than glad and able to assist you with any questions regarding standard features, options, and financing, among other things related to the QX80. Plus, you will be able to take a test-drive of the vehicle at our location.